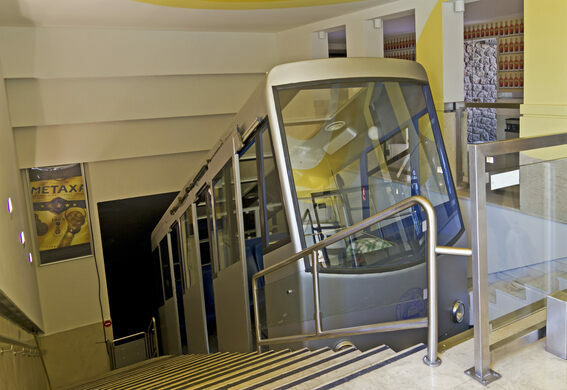 Running from the lower terminus in Kolonaki to the upper terminus atop Mount Lycabettus, the Lycabettus Funicular takes passengers on a 680-foot underground journey up to the highest peak in central Athens. Mount Lycabettus sits 908 feet above sea level. In 1960, construction began on a funicular railway that would take visitors to the top of the mountain. After much digging and hauling, the Lycabettus Funicular was inaugurated on April 18, 1965. The funicular ran uninterrupted for 38 years until 2002, when the carriages were replaced and the mechanical and electrical systems were renovated. 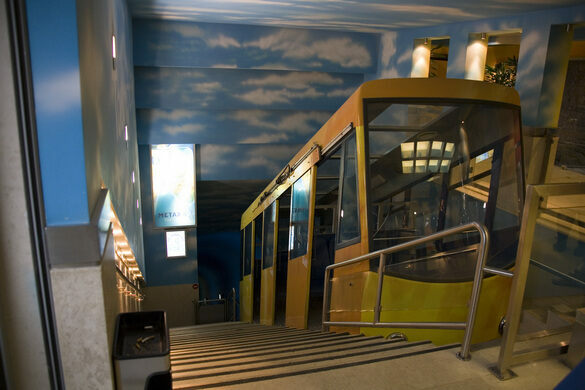 Now, each car has a capacity of 34 people and the funicular transports an average of 300,000 riders annually. 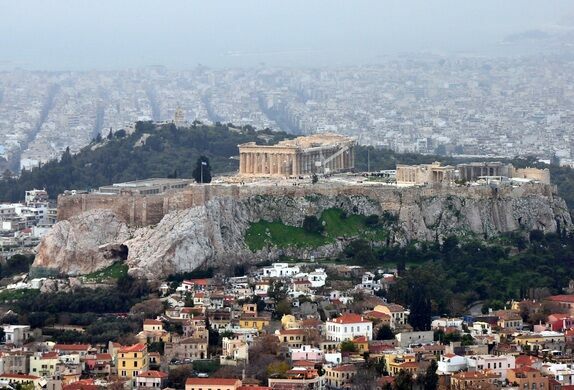 Atop the mountain is a panoramic view of all of Athens. On the higher peak is the 19th-century Chapel of Saint George, a tiny Cycladic-style chapel that was first used by a Monk in 1834 and sits on the grounds of an ancient temple dedicated to the God Zeus as well as a café and restaurant. On the lower peak sits a 4,000-seat Amphitheater. The Lycabettus Funicular generally runs daily between 9:30 a.m. and 1:30 a.m. Hours may vary based on seasonal conditions. Two carriages start simultaneously every 30 minutes (more often at peak times) at the opposite terminus and move on a single track that intersects at the midpoint. The length of the journey is 210 meters and a one-way trip lasts three minutes. Those prone to claustrophobia or motion sickness should take the environment into consideration before deciding whether to use the funicular. Guests that wish to visit the chapel must climb several dozen steps to get to the peak where it is located. Dress codes vary from church to church in Greek orthodoxy. If you wish to enter the chapel, a show of respect to the chapel and its members is achieved by modest clothing and proper behavior. For men shorts, tank tops/sleeveless shirts and sandals/flip flops are frowned upon. Women's shoulders should not be shown in church so anything strapless or with thin straps should be avoided. Skirts and dresses should at a minimum come below the knee. Some churches ask that no leg be shown. Keep your feet on the ground when seated, because it is considered insulting for your feet to face holy images. This ancient hydrological marvel is now the base of a modern outdoor cinema.